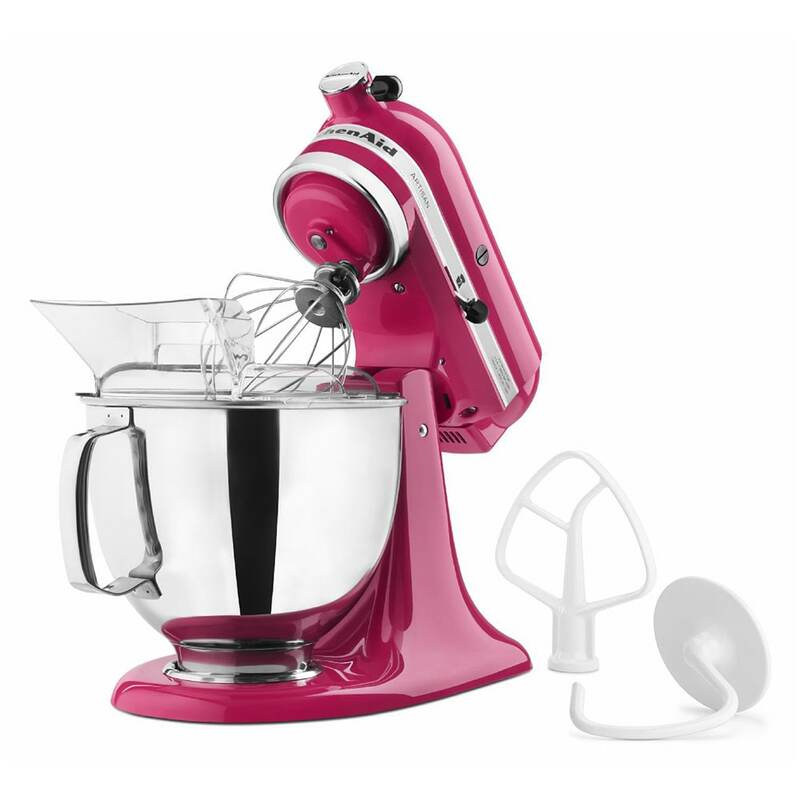 The KitchenAid KSM150PSCB stand mixer is from the Artisan series, so it has a spacious and easy-to-clean 5-quart mixing bowl that's large enough to hold dough for four loaves of bread. The mixer's nylon-coated flat beater and dough hook are dishwasher safe. A 6-wire whip is also included for whipping creams, meringues, mayonnaise, and many candy mixtures. This KitchenAid stand mixer's Cranberry color finish will make a playful addition to your kitchen countertop. Speeds 6-7 for creaming, beating, whipping, and finishing batters.